Includes your choice of custom made herbal products from our menu of herbs for a relaxing sensory experience. 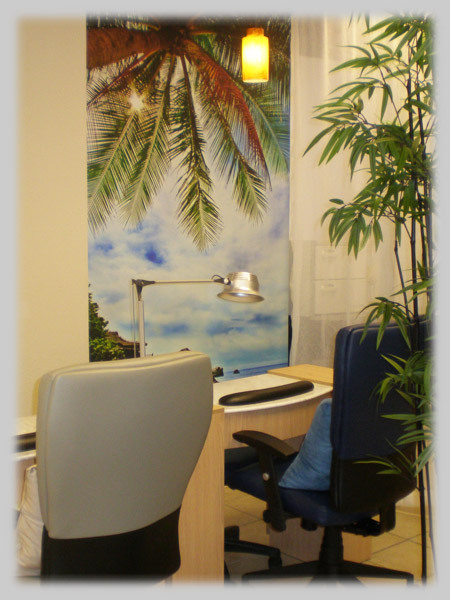 This service includes hands or feet soak, nail and cuticle care, exfoliating, callus removal, massage, hot towels, and choice of lacquer or nail strengthener. This service includes hands or feet soak, nail and cuticle care, exfoliating, callus removal, soothing mask, hot stone massaging, hot towels, paraffin treatment and choice of lacquer or nail strengthener. This Herbal Spa is sure to awaken your senses.